Watch Dogs is the biggest 'open world' game of 2014 and a rival to Rockstar's GTA series but is it as good? 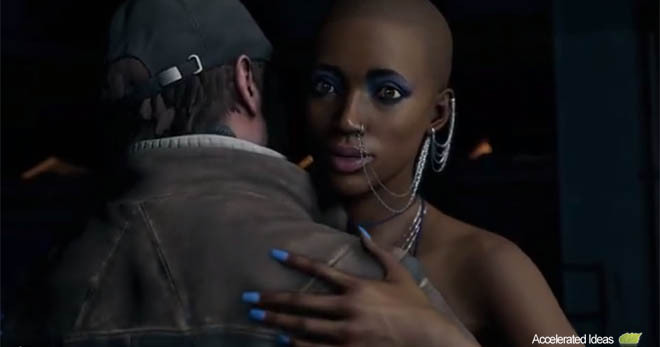 In this post I share my opinions about Watch Dogs, what I liked and disliked about the game, leaving you to make up your own mind. I assume that most of you have a grasp on what Watch Dogs is about by now from the various trailers and press releases so I won't linger on the basics...just straight down to the gameplay! So in single player what is the average gameplay sessions like? Well just like other open world games there is a main story line and a load of side missions which you can optionally choose to explore. It's up to you how you want to play the game. Personally I go for the main story and come back for the side stories later. 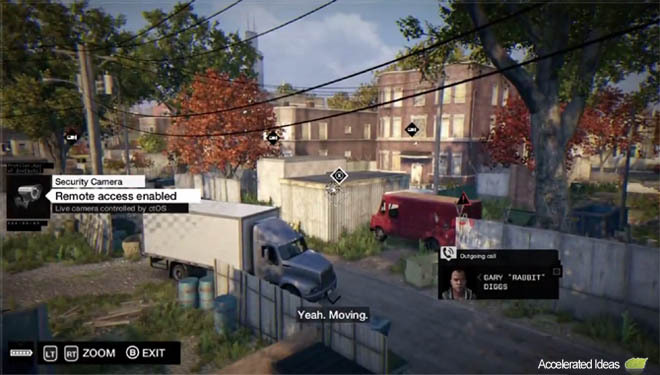 There are 3 different ways to tackle the missions; stealth, hacking and action. Stealth is probably the coolest way to play the game if you enjoy a predator style approach - killing bad guys one at a time and shifting in and out without anyone noticing. It's got a very familiar feel to an Assassins Creed game. Alternatively you can simply choose to hack your way through the missions. For example you could hack a camera, use a lure, access another guards go pro, explode a box etc.. There are many hackable items making for some varied and enjoyable set pieces. Personally I found hacking to be ridiculously fun. There's intelligent AI that's highly entertaining as you freak out NPCs by causing unexpected events. Lastly, action is another way to play through the missions like a bulldozer in a china shop. Using your guns and free running is a lot of fun but it always seems like the easiest way to complete a mission. Shoot everything, get the data and you're in and out in no time. 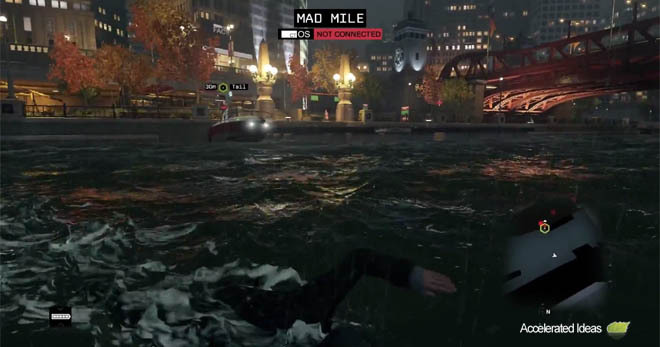 You can evade the police pretty easily and ammo doesn't seem to be too much of a problem in Watch Dogs. I just wish it was a little harder and a bit more challenging. 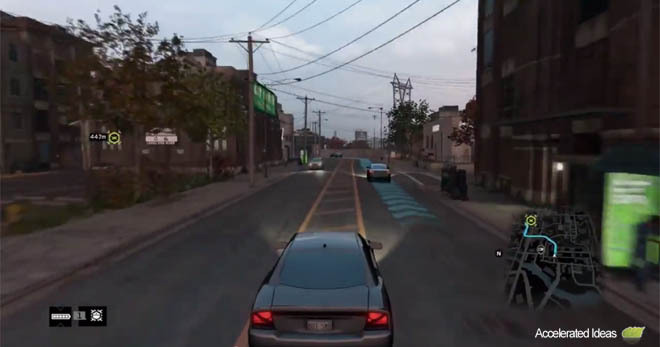 How big is Chicago in Watch Dogs? Everyone wants to know if the map is as big as GTA V? Well it's pretty big but it's not as big as GTA V. It's more comparable to GTA IV. Whilst it's not as big, it somehow seems denser with more intricate areas to explore. That's probably because GTA is full of barren areas designed for off road races, aircraft and of course underwater adventures. 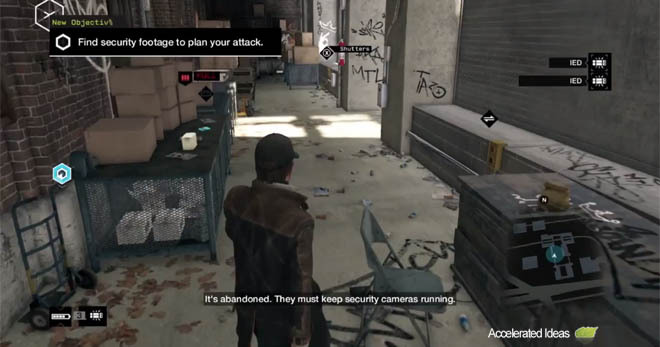 Watch Dogs packs in more buildings, alley ways and paths to explore. Therefore I don't think the size of the map tells the true story when comparing against GTA V.
The buildings you can go in include pharmacies, bars, coffee shops, gambling houses etc. Once you unlock parts of the story you will have access to other buildings such as famous Chicago landmarks, although these areas are only accessible during particular missions. We're not at the stage in Next-Gen games where you can enter every single building and I don't think gamers can expect that level of complexity anytime soon. So how about the feel of the game, is it fun? I think that the free running is well done, you're not superhuman but you can get about pretty fast if you want to. The animation of the main character is very nicely done, I mean it's not stop start, there's a nice transition between animations. 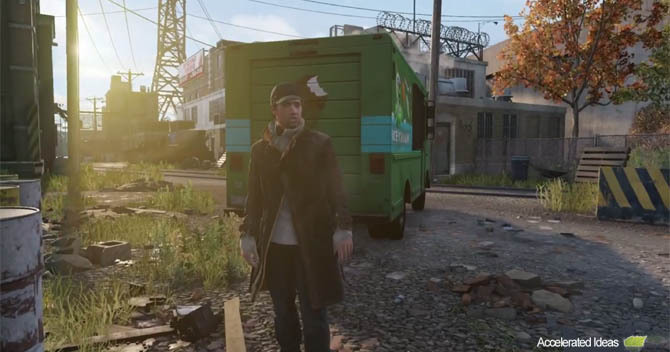 Exploring on foot offers the best experience in Watch Dogs. The other NPC characters respond to events in greater depth compare to GTA V. For example, after a car accident you will hear NPC's argue furiously with each other. You can provoke reactions yourself by pointing your gun at someone and blocking their path. Obviously driving is a big part of the game. The cars and driving element of the game feel very arcady to me which is a bit of a disappointment. Some of the cars, such as larger trucks, handle differently to others but it's more or less, turn corner, accelerate and you're good to go. Cars take a lot of damage before they break too, and I was hoping for more detailed car damage models but there's not much to show in that department apart from wheels that pop off, doors which fling open and bonnets which pop up. Environmental destruction isn't great either, there are alot of times when I'd be driving around and I'd drive really fast into something which looked like it should break, like a small concrete post, and instead of it just breaking it just didn't move. It didn't crumble or crack. It just remained static which of course ruins the immersion of the game for me and literally puts the car to a stop. There was also some buggy terrain in certain areas of the map which looked like I should be able to drive over it and I couldn't. I'm talking about small things like rocks and stuff which was kind of frustrating having to drive around something which I clearly should be able to pass over. If you play the game you'll see exactly what I mean. 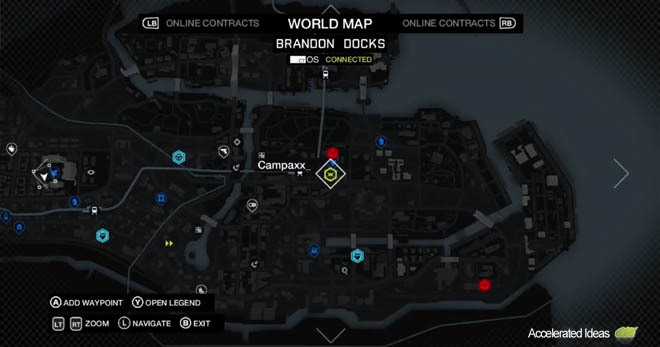 Next I'm going to cover a little bit about the graphics in Watch Dogs. This has been a very hot topic ever since the demo at E3 2012 - you know the one I mean. The game looks good, it's certainly not the best game I've seen though. Sometimes it's quite scenic as you're strolling through Chicago, especially at night time when the wind and rain starts picking up and the buildings glow. It can look quite cinematic. The main problem I have with the graphics through is the lighting and how flat the game can look at times. This is especially true during the day. Texture quality is fine, character models are good for the most part, buildings are detailed enough but overall the game feels bland. 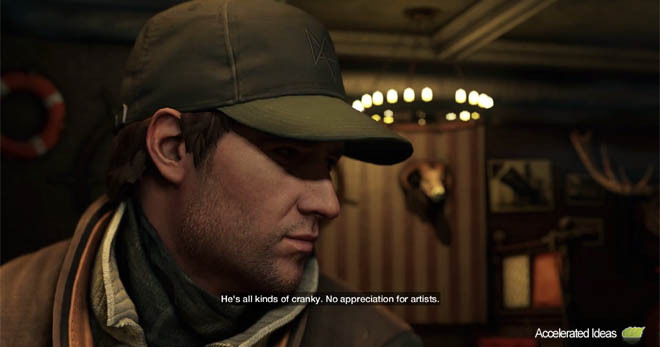 I'm not saying the graphics are the most important thing of course, that's just dumb, but I expected a bit more from Watch Dogs especially when you compare it to other open world games such as Infamous Second Son. I think a lot of us were expecting the PC version to look as good, if not better than the E3 demo but to me it just doesn't It looks very similar to the PS4 but with higher texture quality, anti-aliasing and of course higher resolution. One of the developers told us that the PS4 version is identical to the PC version in terms of the number of character models on screen, the number of vehicles, the detail of the models which is kind of sad because there's a lot of us who have higher spec hardware. When I originally watched the E3 trailer it looked insane. The depth of field effects, particles in the air, soft lighting, reflections and even the way the AI reacted to each other made me think that Watch Dogs was going to be a proper next-gen game. Sadly I didn't get that sense of immersion when I played the real game. I think the PC version is still very good but it doesn't cut the mustard as much as I had expected. Ultimately I had some fun playing Watch Dogs single player for many hours, there is a lot to do and I was interested to find out where the story took me. On the multiplayer side, I spent most of my time playing the 4v4 Decryption game mode, which is a team based competitive game mode. You've got to get the intel and hold on to it until its decrypted, similar in many ways to a capture the flag scenario. I had a complete blast playing this game mode and I can see myself playing this mode for many hours to come. It's a nice mix of infantry combat, car chases and you can cause distractions such as exploding man hole covers to slow your pursuers down. There are proximity mines, tommy guns, grenade launchers, bombs you can throw down and arm, and all sorts of other stuff you can do. My only concern is how long this single game mode can hold my interest. I just wish there were more team based modes to play around with because Decryption is the only one. I'm surprised the developers didn't include a straight up team death match mode because I think that mode works great for Open World type games. Relying on Decryption may not be enough. Customization is one of the biggest features missing from multiplayer. There are a few different classes with alternate weapon loadouts but you can't customize the appearance of you're character. On your own screen you're always the Aiden character from single player, whilst on everyone else's screen you're just some random civilian character model. For me, one of the best aspects of these types of games is customizing the look and style of your character but you just can't do that here sadly. The level of AI intelligence in multiplayer is also dumbed down considerably. Watch Dogs has many other game modes such as racing and a 1v1 modes, but as I said above, I'm going to be playing a lot of Decryption because I really did enjoy that mode. 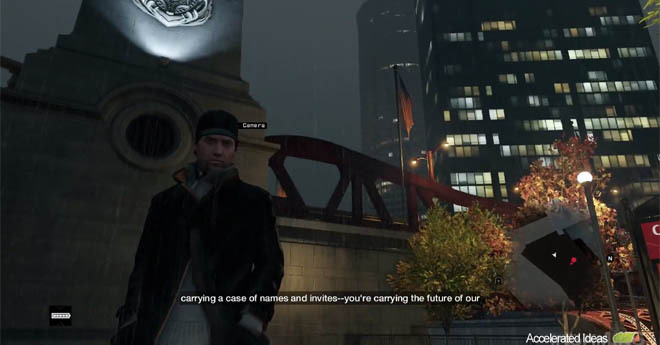 Watch Dogs is a great game, but it's a shame that we need to compare it to what could have been. E3 built up so much hype around Watch Dogs that we had all hoped for something spectacular whereas in the end it's a below par version of GTA. If you can excuse the really bad driving aspect and poor physics, then you can appreciate the games plus points. Hacking is a hell of a lot of fun and it's probably the strongest feature. The city is beautifully designed and although not fully explorable the inhabitants emotional responses boost the games charm. 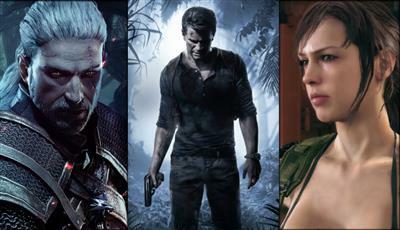 The story is a little disappointing but at least its backed up by many side missions, mini-games and Easter Eggs. Overall I'm pleased that I bought Watch Dogs because it's still one of the best games of 2014.